After many solid contenders over the years, we’ve finally found the most Michael Beasley moment yet. 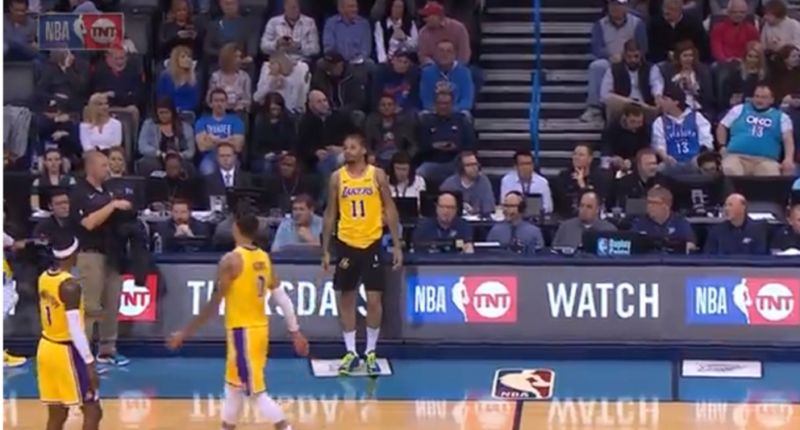 Beasley was ready to check in to the Los Angeles Lakers’ game against the Oklahoma City Thunder on Thursday night, or at least he thought he was ready to check in. Small problem: he had the wrong shorts on. Making matters a bit more embarrassing for Beasley here is that the game is televised nationally on TNT. And as Marv Albert and Chris Webber alluded to, you can be sure this will be an easy entry for an Inside the NBA “Shaqtin’ a Fool” segment.